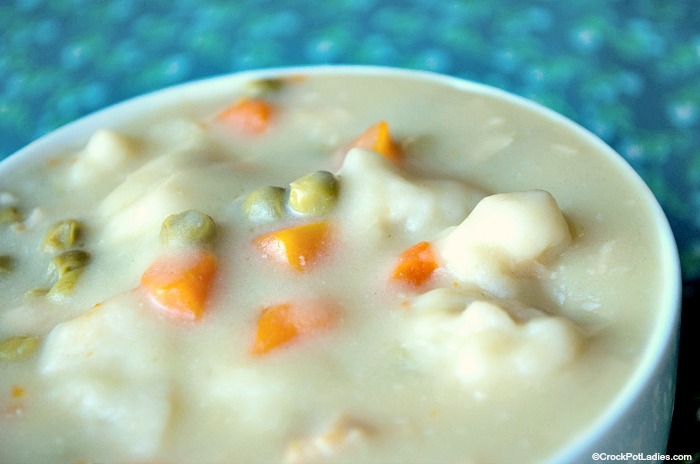 Nothing sticks to the ribs like this warm and satisfying dish of Crock-Pot Chicken & Dumplings. Make this recipe today in your slow cooker for an easy meal. Not everything that comes out of your kitchen has to be gourmet and fully homemade. Sometimes you just need easy. 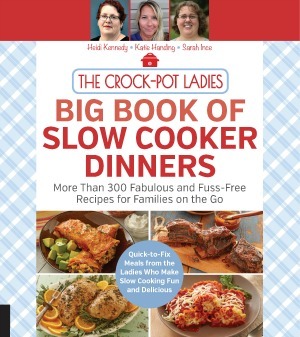 Enter this recipe passed along to me by a friend for her version of Crock-Pot Chicken & Dumplings. 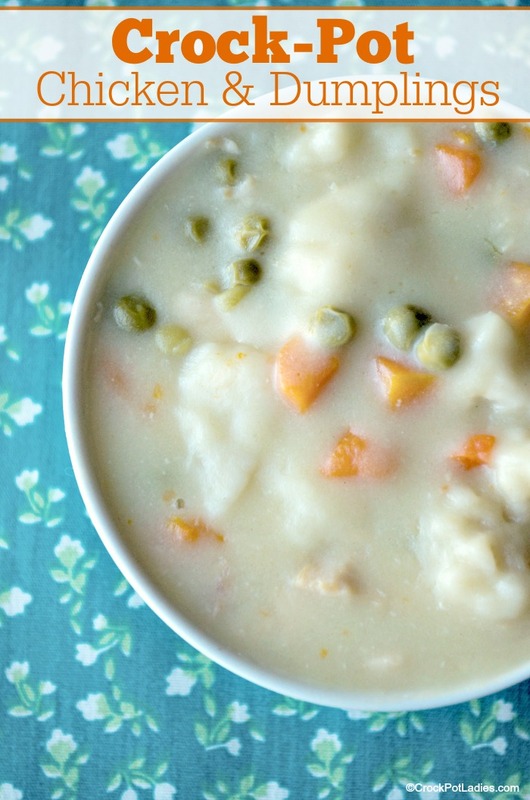 This recipe starts with some canned cooked chicken, chicken broth (from a can), frozen peas and carrots and canned refrigerator biscuits. And while some folks may turn their noses up at a recipe that uses so many ingredients that come from a can that is quite OK. Because you know what I know that there are some people that need a recipe just like this one. I bet you that my 8th grade home economics teacher would have approved. She was the QUEEN of canned biscuit dough! And if canned chicken is just too much for you or you cannot find it in your local grocery store you can of course use shredded or cut up cooked chicken. The meat from a store bought or homemade rotisserie chicken would work just great in this recipe. 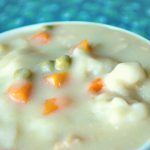 This easy 5 ingredient recipe for Chicken and Dumplings cooked in your slow cooker is a quick and easy comfort food dish that anyone can make! Mix the canned chicken, chicken broth, cream of chicken soup and frozen vegetables in a 5 quart or larger slow cooker, stir together well. Add the biscuits on top, mix slightly till the biscuit pieces are wet. Cover and cook on HIGH for 4 to 6 hours, stirring often while cooking so that biscuits will not stick to the side of the slow cooker. I assume the carrots and peas go in at same time as broth and chicken?? When do the peas and carrots go in? Be sure to use salt, pepper and celery ponder (or fresh celery). Careful on the salt though. Everything except the peas and carrots has salt in it.